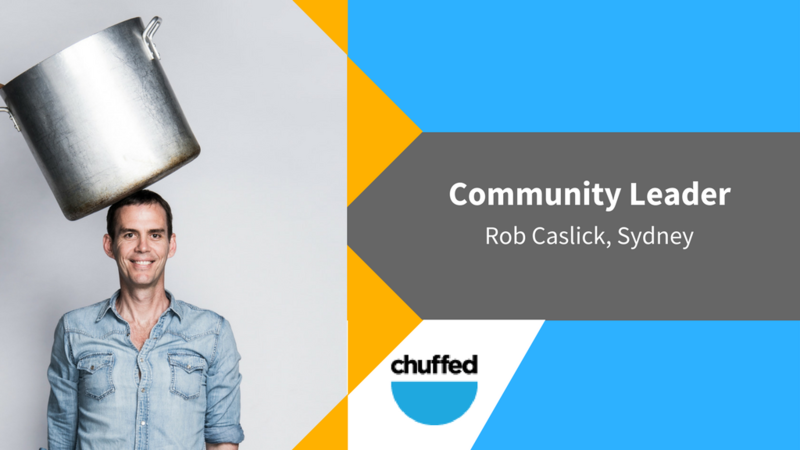 Meet Rob Caslick, Chuffed.org’s Community Leader based in Sydney. An engineer-by-day, foodie and star crowdfunder, Rob runs three social ventures. Read about some of Rob's amazing ventures and drives below! Co Founder of Two Good Co: A 'buy one give one' food business that sells soups and salads to corporate companies and gives one to a Domestic Violence shelter or soup kitchen. Founder of cSigns: The practical application of cBraille. cSigns is installed at Seeing Eye Dogs Australia and quoted as a” Well designed system helpful for people with low vision” by the Braille Institute of America. Founder of Table: We believe that food is more than food. We use food to connect, to show love, and to demonstrate worth. We run an organic soup kitchen, a cooking school, a horticultural therapy program for people with mental health concerns and a talk series. Im a big believer in the power of crowdfunding. I also like thinking about strategy and how to engage a community. I met Prashan (CEO of Chuffed.org) in a seedy hotel bar in Kings Cross, Sydney. It was actually during the morning and we talked about a project I was hoping to do. Prashan was talking about a charity crowdfunding concept he was working on - the beginnings of Chuffed.org! We had a great chat and when I was about to raise funds to build a rooftop garden, I thought "I might give this crowdfunding thing a go". I am passionate about all people and environmental causes. I typically use food as the medium. I find it a great way to focus on the person and not the cause. For instance, at our soup kitchen we use organic food and only serve food we would eat ourself. Our focus is about what's on the table - not who is in the chair. I have run quite a lot of crowdfunding campaigns. Made plenty of mistakes - but learnt a lot along the way!